The UK airline reported its best ever first-half revenue and turned a pre-tax loss into a small profit after stripping out Berlin expansion costs. Problems that plagued Ryanair and Air France flattered the results. The 6.7 bln pound carrier could use a more reliable propellant. Finland’s Rovio, maker of the addictive mobile game, lost half its market value after saying 2018 revenue would be flat at best. That’s what happens when a company puts all its eggs in one basket. Like “Candy Crush” maker King, a sale to a larger player may be the logical finale. Hedge funds including Paul Singer’s group want the Finnish energy company to pay more for its German peer. Appeasing them would weaken Fortum’s rationale for buying fossil fuel-heavy Uniper. The shift to clean energy and the lapse of generous Russian subsidies may destroy it. The Finnish telecoms-kit maker’s shares slumped 15 pct after poor third-quarter results. They are trading at a discount to Ericsson’s stock despite improving margins. A warning on weak demand for its mobile-networks products shows tough market conditions trump good management. Ronnie Leten had a successful eight-year run at Atlas Copco. 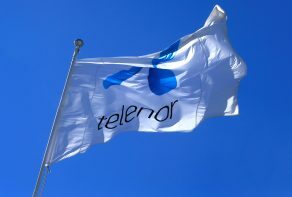 His arrival as chairman of the embattled Swedish telecom group will help make up for the CEO’s relative lack of experience. But both men’s links to long-term shareholder Investor AB make a radical overhaul less likely. The two groups settled a patent row with a deal that includes the U.S. giant buying extra kit, and selling Nokia products in Apple stores. Patent wars may appear to be about legal rights and wrongs. They’re really just a fight over who gets what share of the value chain.